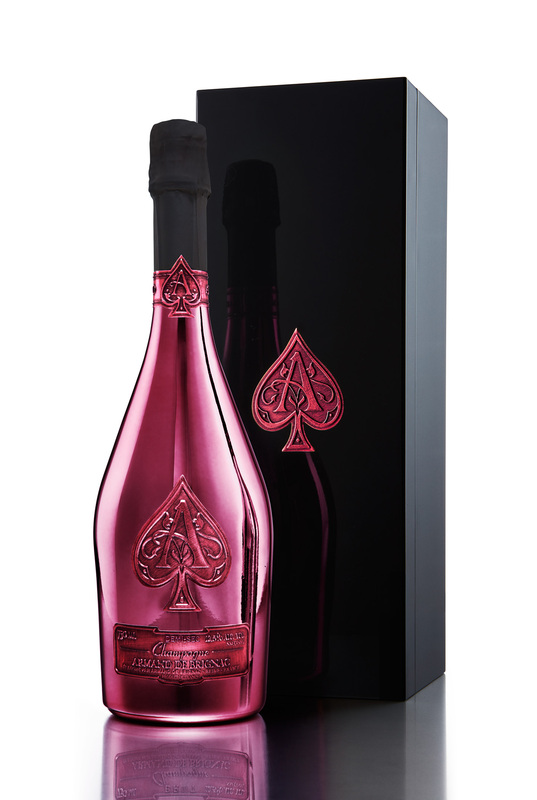 The only prestige cuvée Demi Sec in the world, this unique champagne is crafted using just the ultra-selective first portion of the cuvée press – a winemaking signature of all Armand de Brignac assemblages. With a dosage on the lowest end of the Demi Sec spectrum, it delivers powerful fruit flavor, complexity from additional age on lees, and a balanced sweetness that makes it the perfect accompaniment to an array of cuisines. Notes of English candy, grapefruit, compote fruits, caramel, quince and brioche. The palate is abundant with crystalized citrus fruits, honey and hints of blackberries. Potential to further age this cuvée for another 10 to 15 years, to see the development of more sweet, honeyed fruit notes. An ideal pairing with foie gras, cheeses or lightly spiced foods. Also pairs well with exotic fruits and baked desserts.